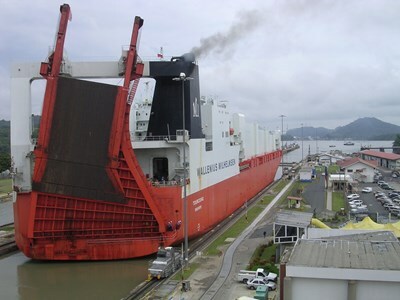 This description uses material from the Wikipedia article on Panama Canal and is licensed under the Creative Commons Attribution-ShareAlike License (view authors). 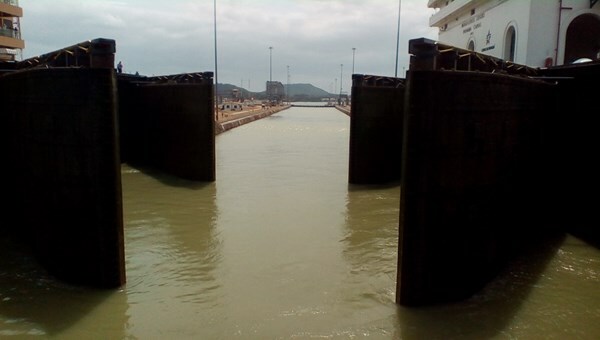 The double doors closing behind us in the second set of locks at Miraflores. During our partial canal traversal (Pacific to middle of Lake Gatun) on Leap Day, 2/29/2016 with Caravan travel. 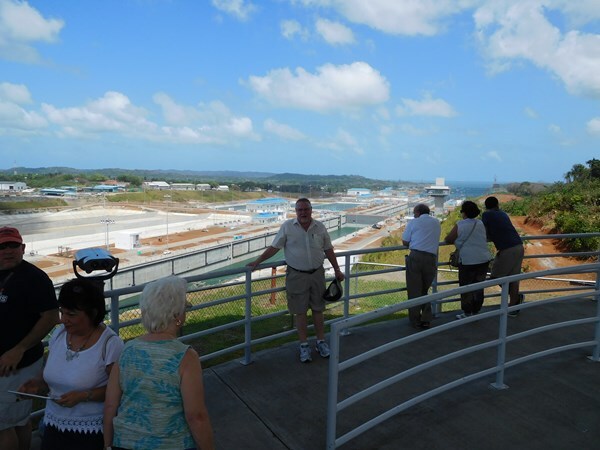 A view of the yet to be opened third set of locks at Gatun (Atlantic side). 2/28/2016 on my trip with Caravan travel. 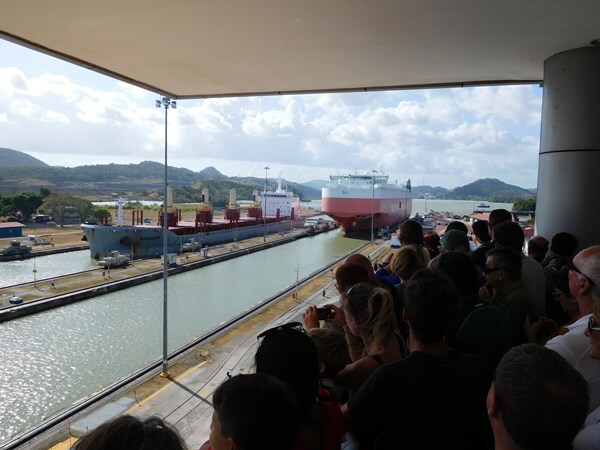 View of two ships entering the first set of locks from the Miraflores Visitor Center observation deck. The ships are heading south to the Pacific Ocean after they clear these last two locks. 2/27/2016 on my trip with Caravan travel.